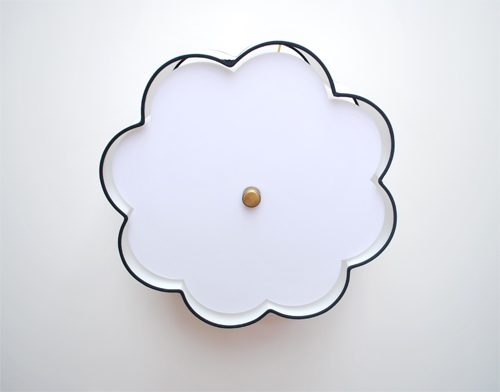 I've been meaning to show you these photos of the new flower drum shade ceiling light since we installed it. 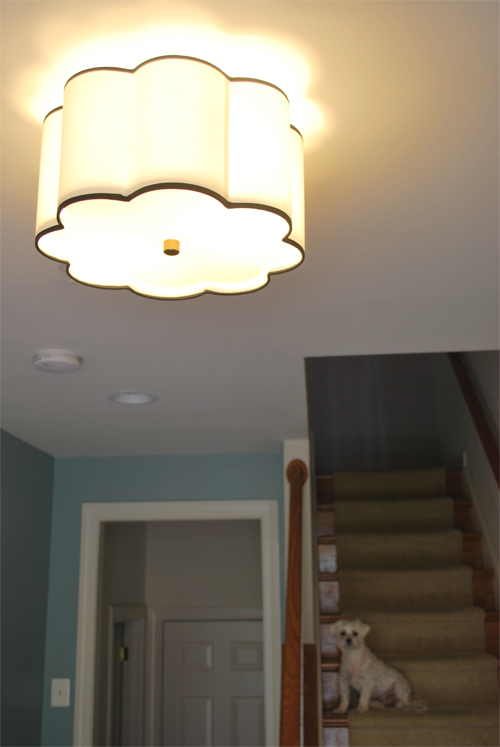 I have been wanting this light fixture for goodness knows how long and I am so excited that it's finally in our house! 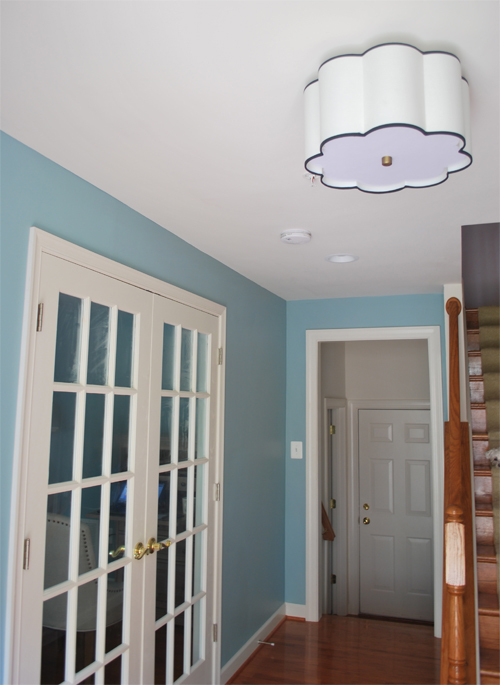 Now, with this new light fixture, I plan on redoing the entire entryway. Of course, right? The blue wall color has got to go. And in its place will be some kind of wallpaper. Yes, I said wallpaper. I finally got the hubby to agree to have it in there. I think it's really his way of getting me to shut up about wallpaper. At least for a little while. I probably talk about wallpapering that space (along with the powder room) like everyday. I knew my strategy would work. I just ordered a sample of the Martinique and am eagerly awaiting it's arrival. We (yes, I said we) are onboard with having this in our entryway, but I just want to make sure that the scale of the print will work in our ridiculously tiny entryway. I'm still stunned that Steve is agreeing to this print since it's rather bold, but it's one of the very few that we both can agree on and well, to say that I'm obsessed with it is an understatement. But we will see when this sample comes in. You just never know how things will look unless you get it in person and test it out. Especially because this wall covering is rather pricey, so we just want to make sure before we take the plunge. The new storm door to be installed very soon. Another home improvement that we've been wanting to do is add a storm door to our front door. Because out town home is not an end unit, its entryway doesn't have any windows, and therefore does not get any natural light at all now that we built the wall downstairs. The storm door would allow for more natural light, and really, who doesn't want more natural light? I've got a few more home improvement projects to show you, so come back tomorrow to see more! 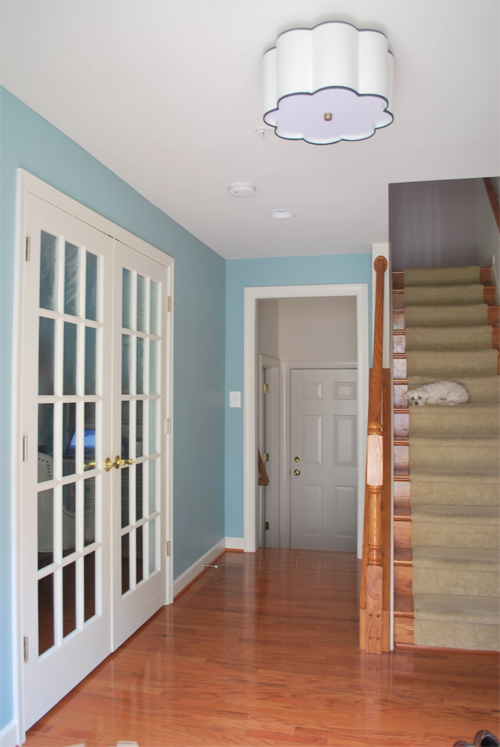 I love that light fixture!! !